Hello kids, and welcome to another edition of Big Chuck’s Automotive Blog! By some amount of popular request and my documentation obession, this is another minipost on a single subject: modifying your nuclear reactor to not go Full Three-Mile Island, so you can get your Full Three-Mile Gallons instead. Basically, this is just presenting the information you’d get from a user community but in long-form with photos and having it be search-engine friendly. To recap, the FiTech Fuel Chernobyl Command Center has a nasty habit of overheating due to its design: A high-pressure fuel pump located in a returnless sump that constantly circulates the same few quarts of gasoline supplied to it by (ideally) your car’s original low pressure mechanical or electric tank pump. It’s supposed to be an intermediary in the fuel-injection conversion and should in theory allow you to keep a completely unmodified fuel system from the carbureted engine. So essentially, unless you’re running wide open throttle on a racetrack, it will sit there slowly heating up its little puddle of gasoline to OVER 200 DEGREES FAHRENHEIT often vapor-locking itself or damaging the pump from overheating. 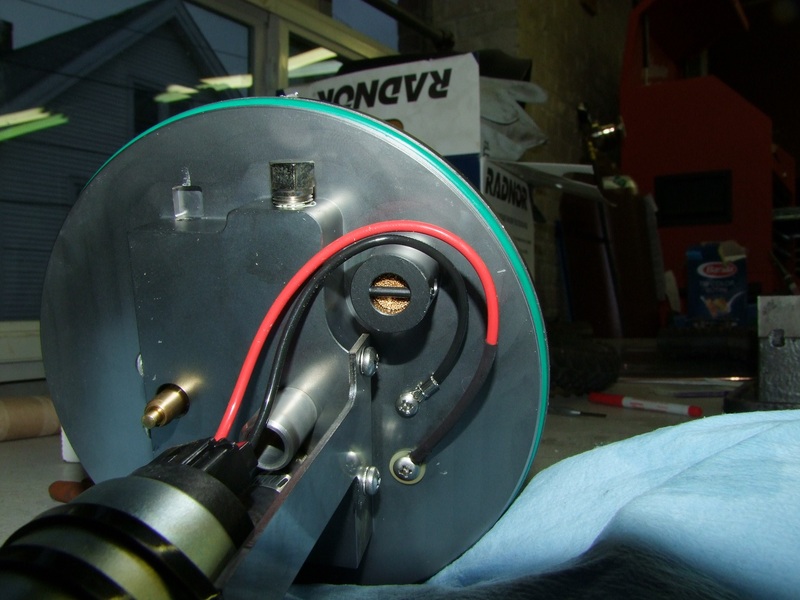 Let me bring that back: There is a half gallon or so of boiling, pressurized gasoline with a small electric motor angrily buzzing away inside it, next to your engine. Good thing they call that a firewall in front of you, huh? For me and my love of silly vans with the engine as a permanent front-seat passenger, that means the thing is basically next to my balls. This is patently unacceptable. The community has come up with a solution which involves modifying the FCC housing to accept a conventional fuel-return line that runs back to the fuel tank, so the LP lift pump will just keep cycling fuel through the housing continuously. Here’s how to do it! Alright! So here is your reactor core vessel. The whole unit is made of four threaded components, like pipe plugs – the top endcap with the wobbly needles and ports, the upper threaded portion (which I’ll call the bowl), the lower threaded portion (which I’ll call the cup), and the cup’s own lower threaded end cap. The top cap is the one that needs to be removed. Both the top and bottom caps have spanner wrench slots. However, I couldn’t conjure up a spanner wrench that fit around the thing, so I resorted to bashing it into rotating with a brass dowel and mallet. 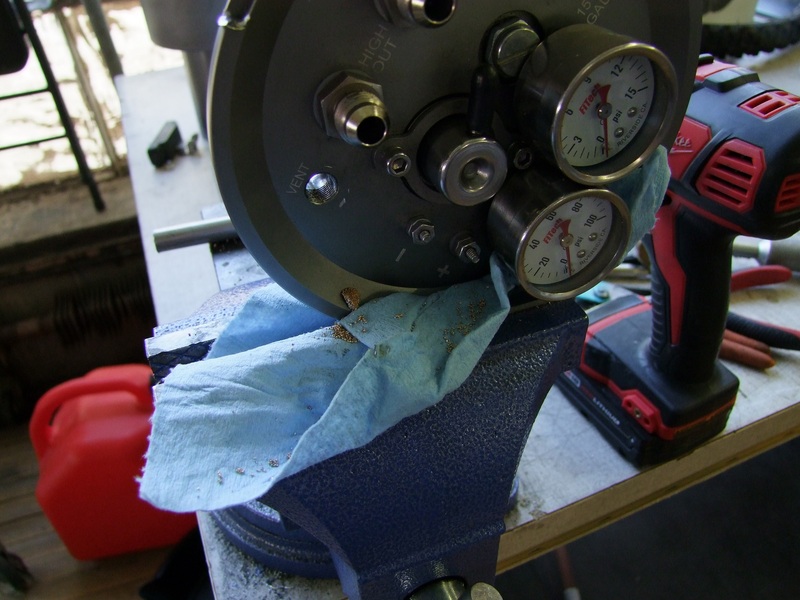 It took a lot of effort – this thing has an O-ring seal which is tighter than the FiTech tech pages let on, and I deformed some of the spanner wrench slots. After about 2 rotations with hitting the slots, it was loose enough to turn by hand. Note that the cup and bowl WILL start unthreading from each other if you only grip it like I did above, by the cup. Ideally you’d use a strap wrench or something to grip the bowl. Here is a closeup of the structure inside the top cap. About now is when I realized that this thing was very overengineered. Notice how I didn’t say it was a good design – just that it’s overengineered. Trust me, I have a MIT degree in overengineering. 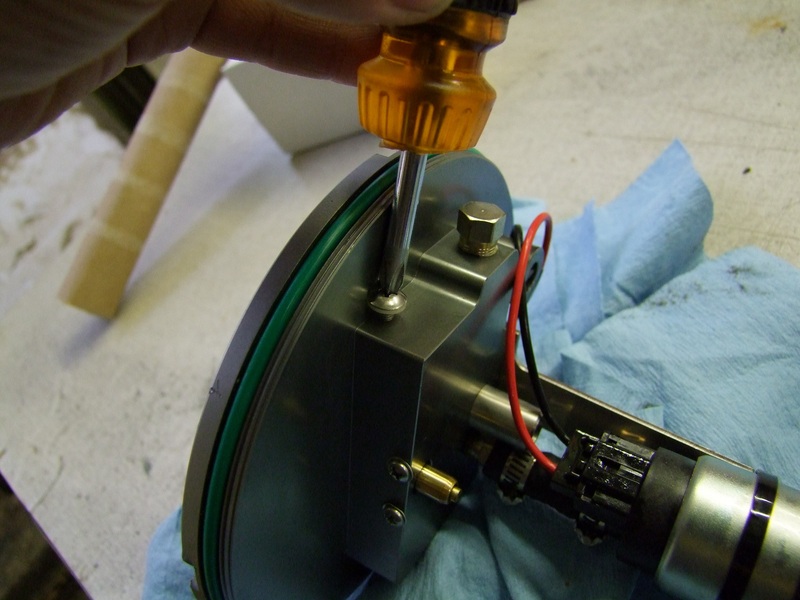 The aim in the common community mod is to remove the black float and the carburetor-style needle valve it actuates. 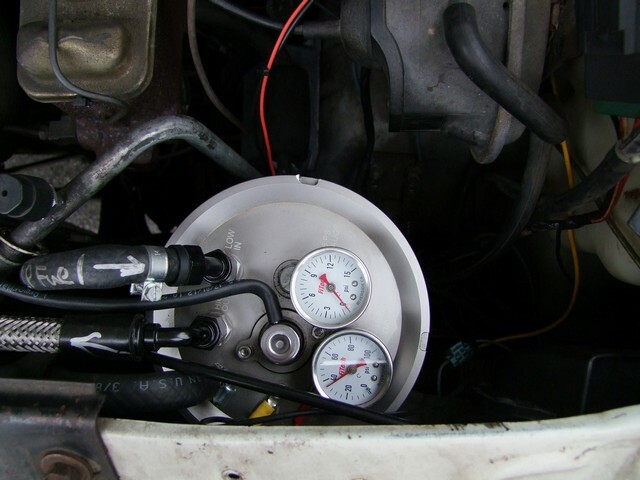 So basically this float dictates the fuel level inside the container, just like a giant carburetor bowl – fuel too high, needle valve closes and does not admit fuel being fed in. This procedure can be done by removing the two Phillips-head screws holding the float on. Some people then leave the needle valve in since it technically can supply the needed fuel flow anyway, but some choose to unscrew the needle valve and seal the hole with a plug. You have to remove one of the gauges to get at this needle valve, though, so I elected to not do so. That’s because I found that you could bypass the two parts completely by taking out this screw to the side. Doing this made me realize the top cap was a single piece machined manifold-like piece, and the fuel galleries were made by cross-drilling holes until they hit each other. 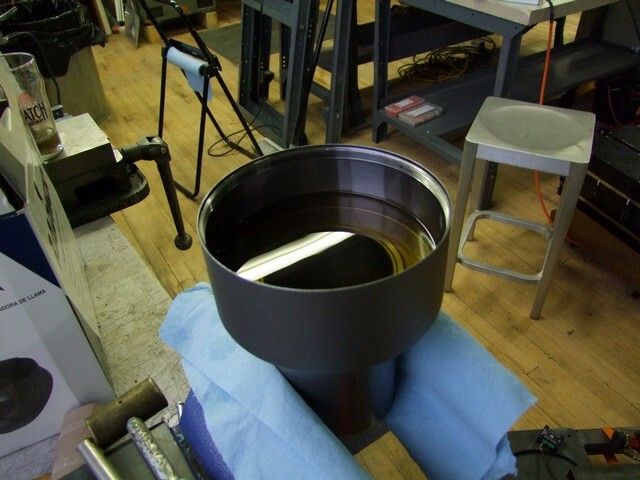 I mentally counted over 2 dozen machining operations and at least 3 setups that had to be done on this piece (less if they instead have a really big and pricy 4-axis CNC lathe with live tooling…) plus the raw material cost of starting with a 8″ billet, plus I swear the bowl piece is machined from solid because of the internal flanges, O-ring grooves, and seeming lack of signs of a spinning operation. What I’m saying is, some intern had a lot of fun muscle-flexing Manufacturing 101 with this thing. Nobody, however, saw 200+F PRESSURIZED GASOLINE BUCKET coming. I removed the float anyway to reduce the number of parts inside, but elected to not remove the needle valve since I did not have a plug of the same thread size handy. It’s now bypassed completely. The next step is to remove the outlet filter on the ‘VENT’ port. This is a very restrictive filter since it’s supposed to not let fuel through, only ｖ　ａ　ｐ　ｏ　ｒ　ｓ . In older FCC designs, this was a little ball check valve. Either way, it has to go! Okay, I couldn’t find a good way to remove that roll pin since it’s blocked from the side I would need to drive it outwards. So I did what any sensible engineer would do – drill it to hell. Some stirring with a 1/8″ drill bit and the sintered bronze particles all fell out! All closed up! I greased the o-ring on the way back in so it rotated a lot more smoothly. The final tighten was by hand, and that’s all you really need. 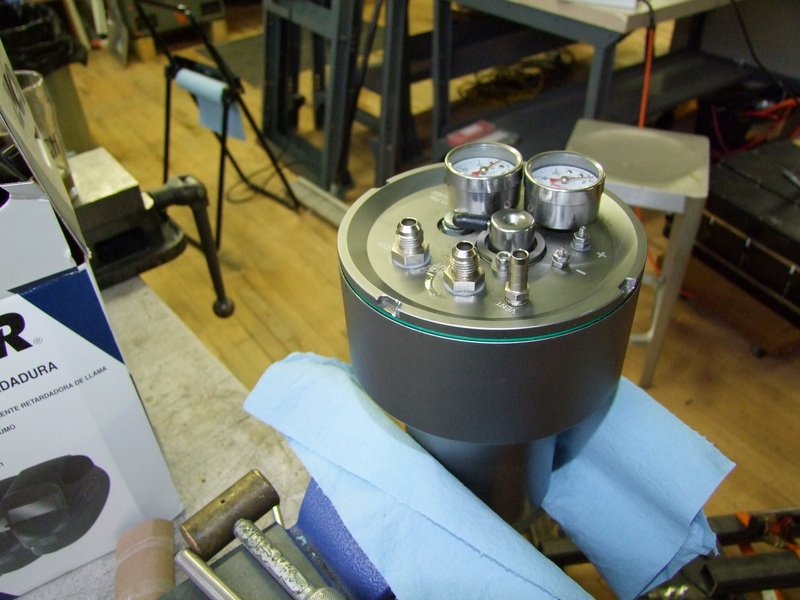 What this turns the FCC into is just a tiny auxiliary fuel tank with a high pressure pump in it. The ‘VENT’ nozzle now becomes a fuel return line. Low pressure fuel enters as normal and what isn’t used will leave back to the fuel tank via ‘VENT’. I took the opportunity to reroute some of the messier hose positions and made them exit all in one direction. Since I already had VENT hooked up to the former return line anyway, I didn’t have to do anything else. 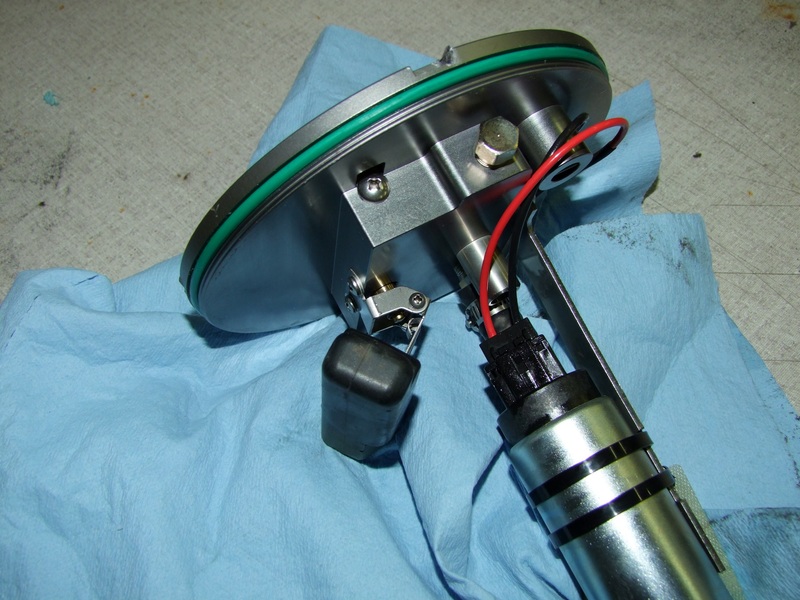 Notice the vacuum line now attached to the formerly plugged fuel pressure regulator module in the center. This is a more recent service advisory by FiTech to stabilize fuel pressure – I read about it before the conversion, but ran out of vacuum hose so didn’t perform it right away. Connecting this FPR to the manifold vacuum caused the fuel output pressure to stabilize at about 45 PSI – previously, it rapidly vibrated between 40 and 50 PSI. 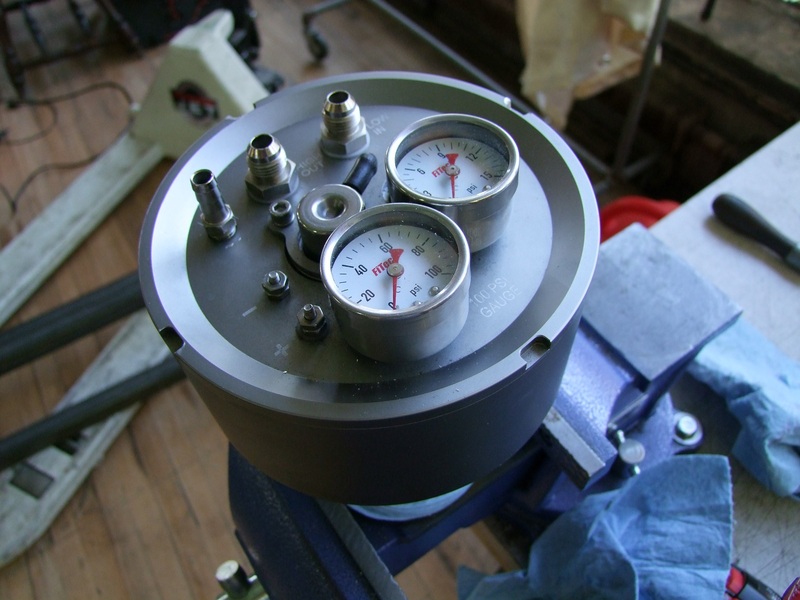 The in-tank pumps now happily push a constant stable 3-4 psi around at the low pressure gauge. Vantruck has been around nearly 300 miles since this modification was made and I haven’t poked anything under the hood a single time. I don’t have a IR thermometer reading of the reactor temperature on a hot day, but I’ll say that it’s actually cooler than the rest of the engine bay now. If you’re in Cambridge or Everett, you might hear it brodozing its way around from 2 blocks away because STRAIGHT PIPES. I actually need to remedy that – I’ve already been compliment-warned by one police officer… Hey, nice truck! I know you don’t have a muffler on that thing, so don’t drive too fast around here or we might hear it…. It’s getting closer! This will be a minipost addressing the last design conundrum in the signal board – how to get the optocoupler input to play nice with a programming linker. 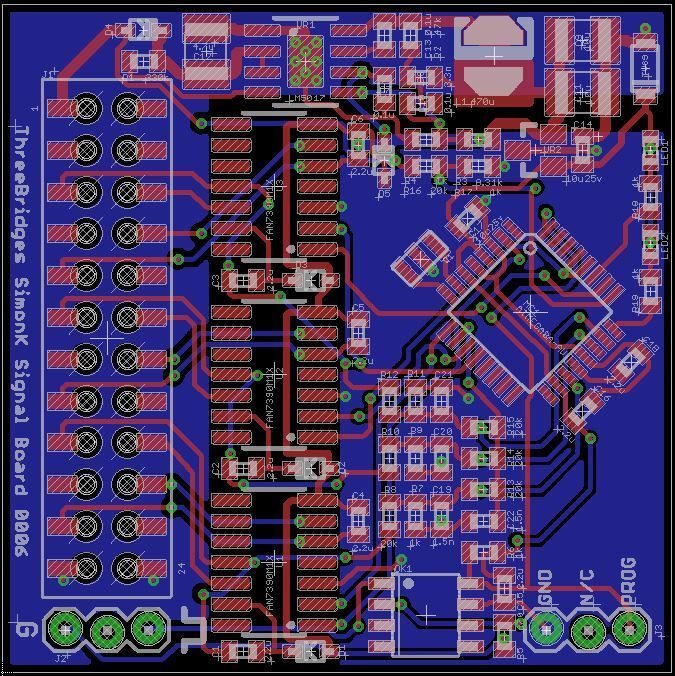 Last time, I discovered that the USB linkers didn’t play nicely with my oddball bidirectional optocoupler setup, so I halved the bidirectional opto and pushed a new board revision. Clearly, I didn’t get to the bottom of what the mysterious 1-wire bidirectional serial-like bus of the popular SimonK/BLHeli bootloaders want, so here is my short investigation. What happened was while I could use the R/C input side of the optocoupler, the programming header only worked without a pulldown resistor. This, of course, meant the optocoupler no longer worked, so I was still in the same state as before. So I fully decoupled the opto to watch what the bus wants to do when it’s being programmed. Here’s the sequence of exchanges between the programmer and the board. The programmer talks in 3.3v but the microcontroller responds in 5V, then there is an idle waiting period which is pulled high. 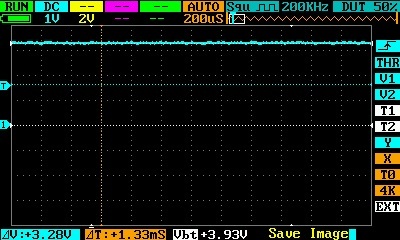 With the programmer plugged in but not transmitting, the line is pulled high to 3.3v. 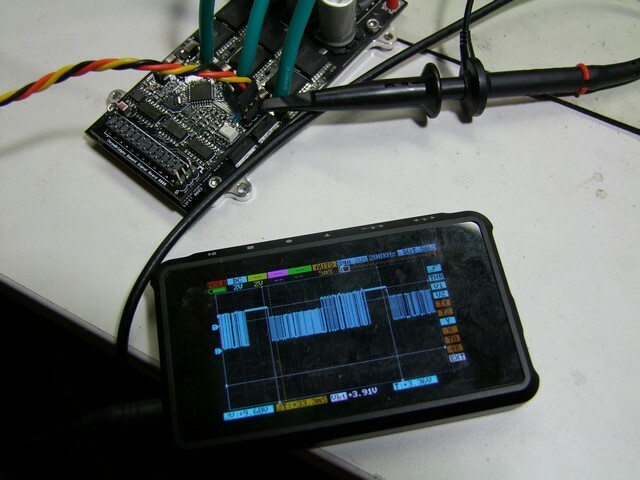 This works with the bootloader detector in the firmware such that when it wakes up, it will not activate the main program if it detects logic high for a certain time period. 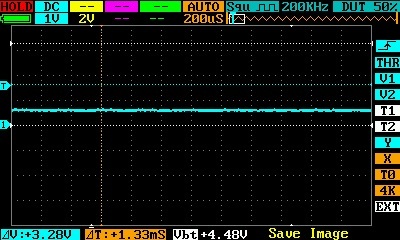 The programmer initiates communication first at 3.3v. I wonder if it’s 3.3V because it’s an easy voltage to regulate down to from the 5V of the USB connector, and keeps the programmer compatible with controllers that might use 3.3V (as not all micros have higher voltage tolerant pins). 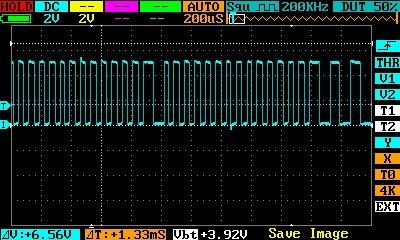 And the chip responds using 5V (or if this were a 3.3v board, it would also be 3.3v). I can’t be arsed to actually decypher or research the bus, I just want my electrical interface to work. 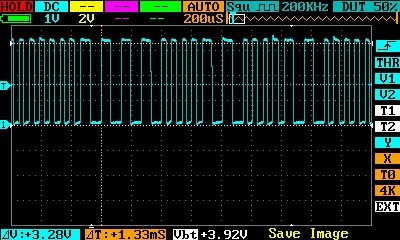 Open-collector (pull-up) logic buses have a benefit of being able to tolerate different voltage levels on different devices like this, so I guess that’s why it’s more standard practice! Okay, okay, fine. 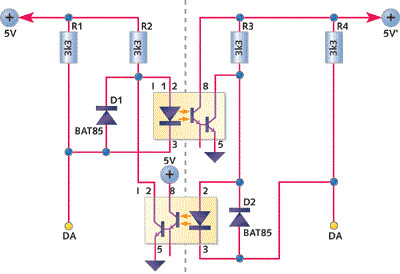 I’ll change the opto circuit to be a pullup like a competent EE and use the Inverted input setting in SimonK. Oh, by the way, the LEDs? They’re also pulled up by default and the chip pin is driven low or turned off to light them. Like the opposite of how I want it. Alright, time to commit the Little Blue Wires to the board. I swear, this is the last revision! 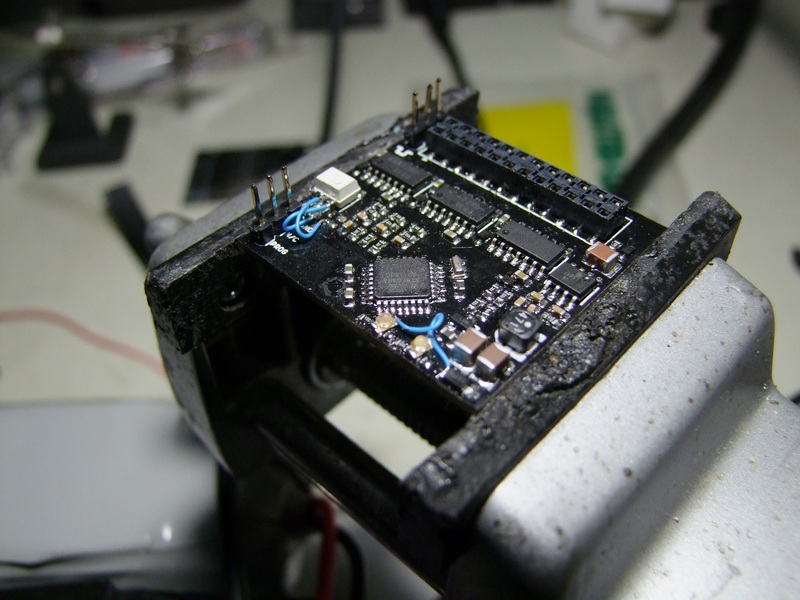 Right now with the edited board, all I need to do is flash the initial firmware payload on using a chip socket. From there, I can then use the AfroESC USB dongle to talk using the PROG header. A commercialized Brushless Rage will come with the bootloader-enabled firmware and Reasonable Settings already written. Detroit Maker Faire is coming up in 2 weeks, and I’m intending to take a batch of Brushless Ragebabies there to get them whipped into shape! And coming up soon, a writeup on modifying the FiTech Fuel Command Center to not melt down. Theme created by miloIIIIVII | WordPress | Entries (RSS) | Comments (RSS) | 28 queries. 0.236 seconds.